The Active II looks pretty simple from the outside. No flashy colors, no crazy pouches. 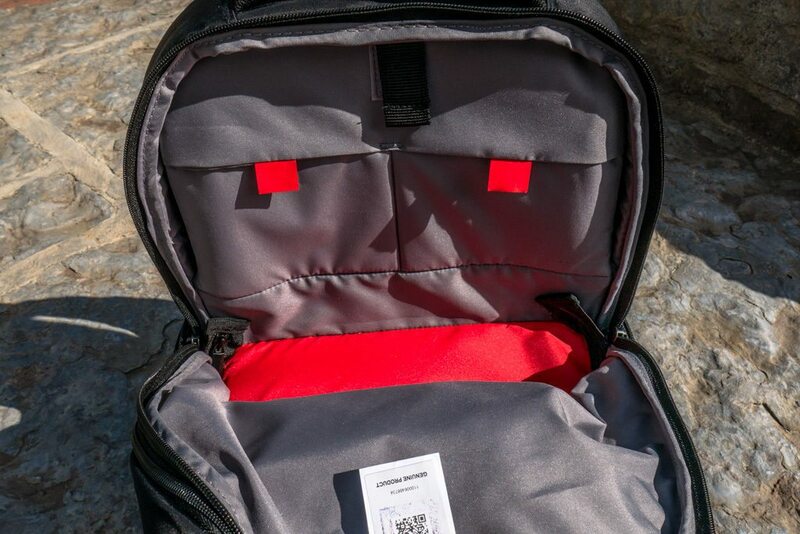 In fact, the zippers and pocket locations match my regular backpack almost exactly, you’d never know the Active II packed some clever storage ideas. 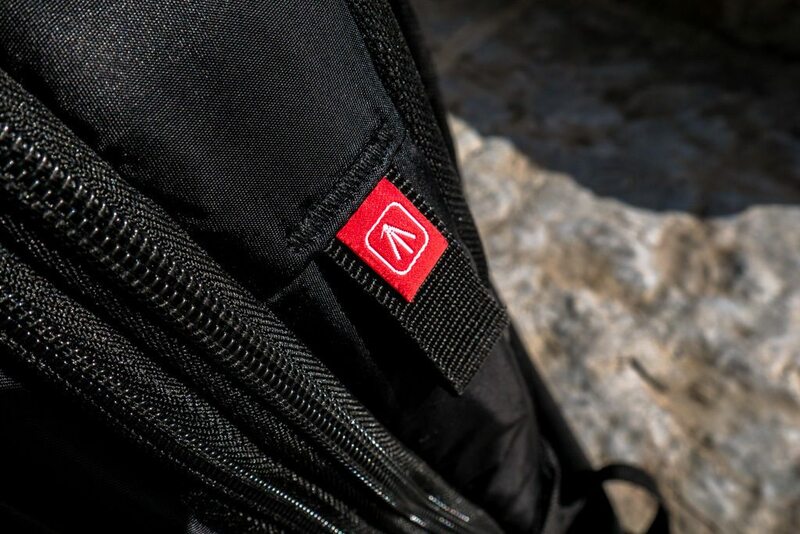 The build quality is also tremendous with very durable, solid materials making up the entirety of the backpack. The biggest pocket has the laptop slot, an open area plus two pouches. The storage space is hampered by the camera pocket underneath but the laptop slot can fit up to a 17-inch laptop which is crazy! I definitely prefer the trade-off because of the other pockets. The middle pocket is surprisingly spacious for where it’s located and sports a mesh pocket while the smallest pocket is still a decent size but certainly still small. But, wait until you see the camera pocket. It’s basically a full-size camera bag with removable Velcro attached dividers for customizability. It provides quick access to all of your camera gear and really has changed my photography experience. I can now have one bag with my laptop and camera in it while also providing storage for other things. Editing on the go has become so much easier thanks to the reduced time between shooting and editing. Manfrotto packs in a few more extra touches for your convenience. First is the included rain cover to guard against weather even though the backpack itself is water repellant. Second is the exterior loop plus included strap for holding your tripod on the Active II. I’ve used this a bunch for my product videography where I need completely steady shots where I was not bringing the tripod previously due to its inconvenience. Finally, there’s a chest strap for increased stability when walking with the Active II. The name of the game with the Active II is function and Manfrotto has really delivered. It looks understated but classy while delivering all of the awesome features to improve your photography experience. The build materials plus the functional design make the Active II comfortable to wear but also incredibly useful. The defining feature of this model is the ability to fit a 17-inch laptop because most laptop/camera backpacks can barely fit a 15-inch laptop. The Active II only comes in black right now so some extra colors would be great.